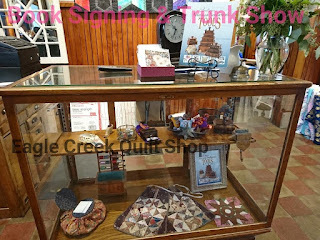 Today I setup an 'event promotion' display case at Eagle Creek Quilt Shop. These items will be on display through February 2. 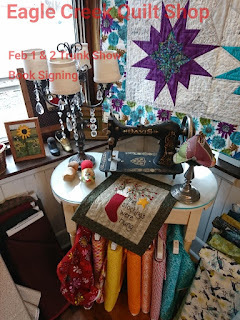 On February 1 & 2 I will be at the shop and I hope to see YOU there. The first part of the day I will be speaking to the Breakfast Club. Pre-enrollment is required, as it is a catered gourmet breakfast. 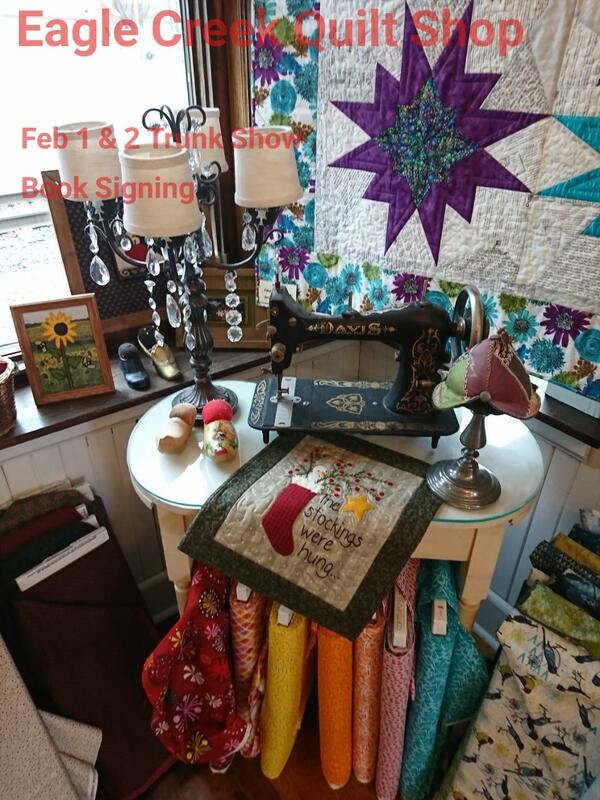 Afterward, I will have more displays of antique sewing treasures in the classroom where I will be signing books. Contact Eagle Creek HERE to sign up. 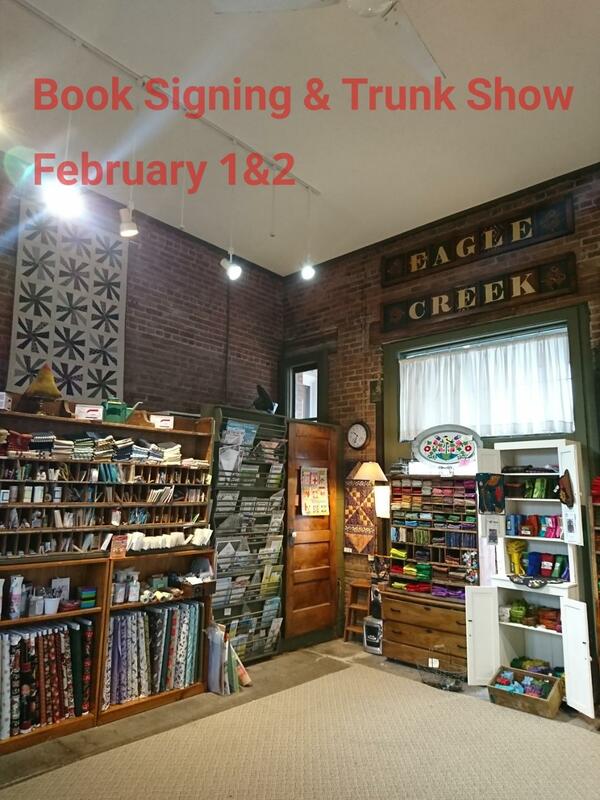 You can also call and order a signed book if you cannot make the event days. "Eagle Creek Quilt Shop, Inc. is located in Shakopee, MN in an enchanting historic railroad depot close to downtown Shakopee. 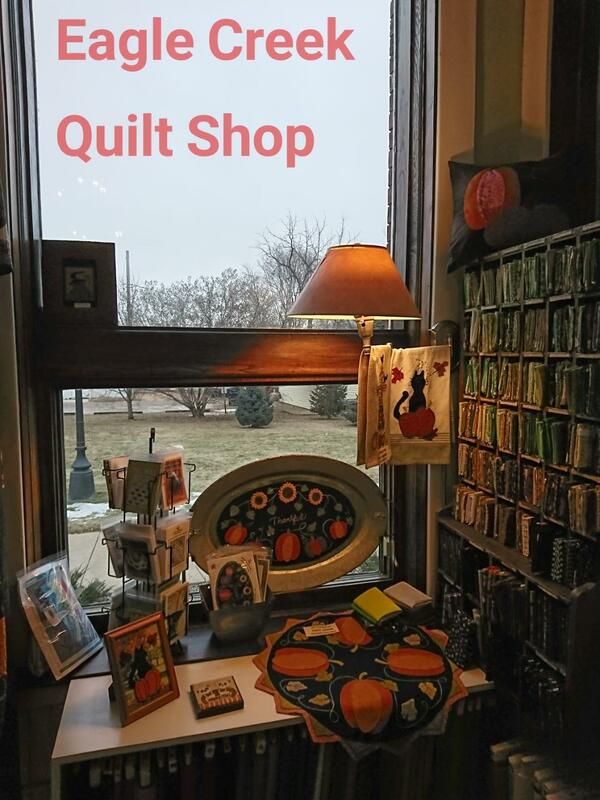 This landmark structure is in many ways an ideal setting for a quilt shop. 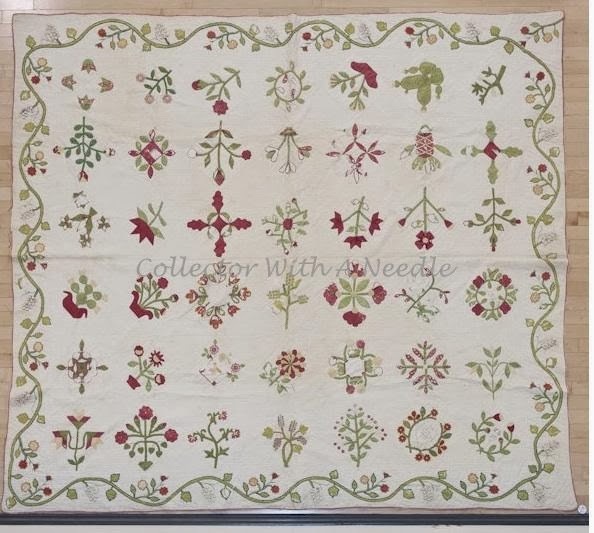 The high ceilings are perfect for displaying full size quilts and large windows throughout the building provide natural light for fabric selection. We have ample parking and “green” space for flowers and trees. Many quilters have an active appreciation for old architecture and antiques, which are found throughout the shop, so we frequently find ourselves surrounded by kindred spirits. In 2007 we were honored to be named one of the Top 20 Quilt Shops in North America by American Patchwork & Quilting magazine." 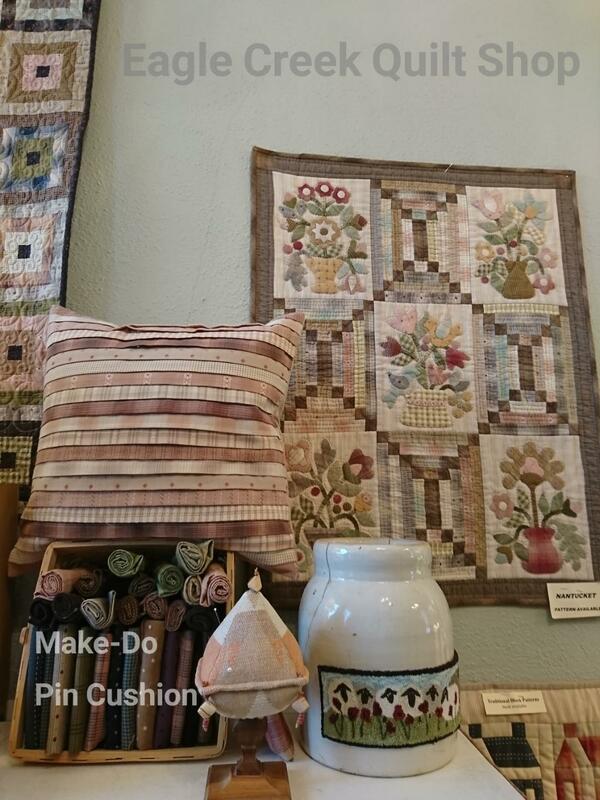 The shop appeals to many quilting tastes. Today I took a few photos as I shopped. The arrangements are all beautiful. Note the use of sewing accessories around the shop. They carry some reproduction Make-Do pin cushions that are for sale. With thousands of bolts of fabrics, luscious threads, inspiring patterns and must have notions - I never leave empty handed! The wool selection is beautiful, with yardages, pre cuts and scrap bags available. Lots of wool patterns and samples. It's worth a trip just to see the finished samples. Very motivating to stitch. The shop is south of me, if you peek through the window - see that green grass? I don't have any grass showing at my house! I'm guessing you might like to see more? This is the freight room of the former train station. Tall ceilings and a big wide open space. This is the back of the room where I will be talking to the Breakfast Club. Amazing history all around, the perfect setting to hear about Antique American Needlework Tools. 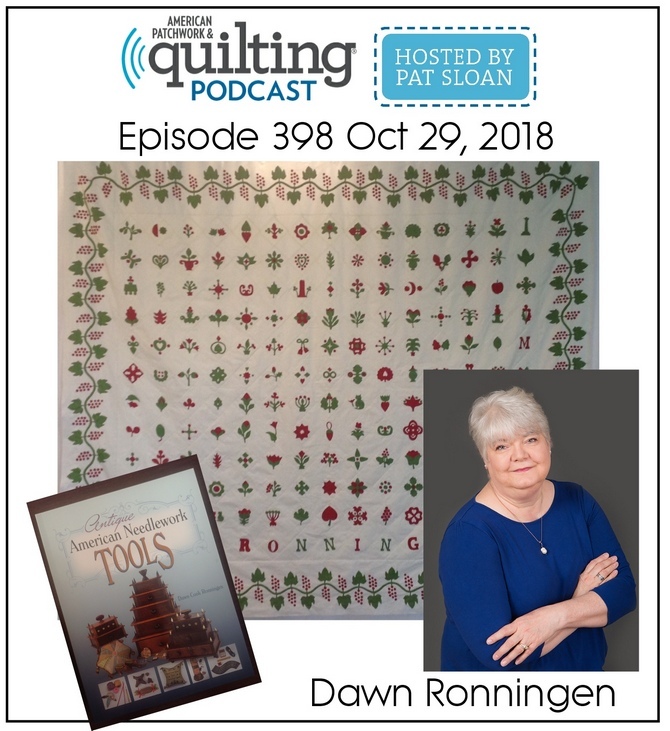 The notions wall includes many of my favorite products; goat skin thimbles, hand sewing needles, wool for needle pages, embroidery stitch guides...lots of goodies! 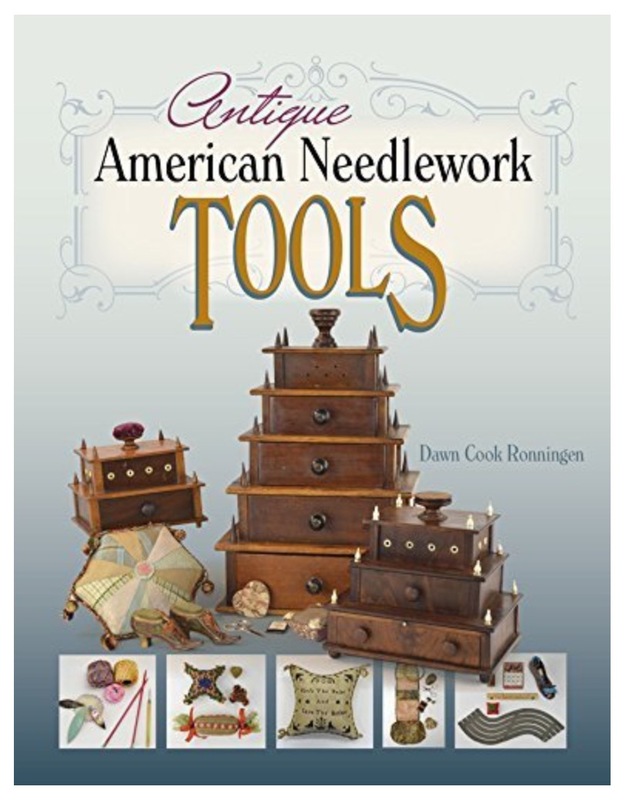 Call the shop and order your signed copy, "Antique American Needlework Tools"
I'm also available to come to you if this is too far. Contact me for details - programs large and small available. They do mail order, so if you see something in the photos you want - contact the shop. I'm lecturing there this year - with a terrific lineup of speakers! 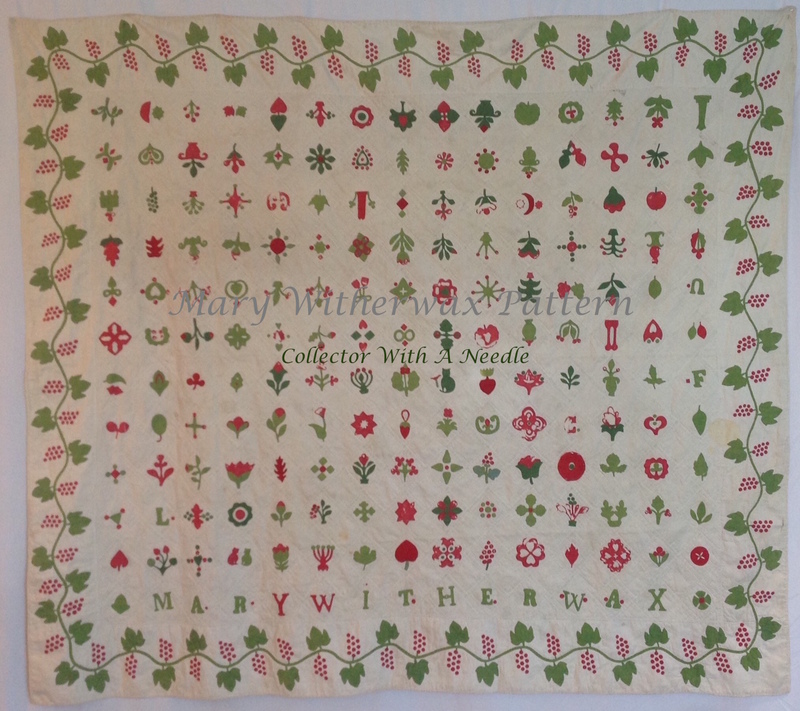 If you love textiles - You must go. The market runs during the lectures so you can fill your day. Hope to meet you there! Oh it all looks so inviting. I surely wish I lived closer! Have fun!! Dang I wish I was closer! I still have an unused gift certificate - what???? Oh, my! This looks like a great shop. Wish it was nearby so I could catch your presentation, and do some shopping. 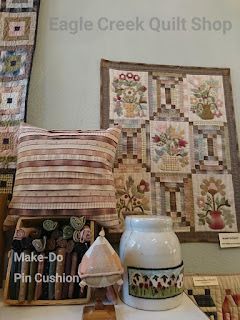 For years every time we went to see my MIL before she passed away, we would stop in Shakopee to visit this wonderful quilt shop. If you have a chance, don't pass on going...it is in a wonderful old building and the ladies who work there are so nice. Wish I could be there! I want to come! Too many thousand miles away. Looking at the shop pictures, I see some interesting items. I like the pillow with the strips of folded fabric across it. It gives it texture by leaving those folded edges loose. Perfect shop to show and tell about your atiiques. Looks like a beautiful shop, would love to come over, alas....... there is an ocean between us..
Have not been at this sweet shop in way too long...it is a very special one in a wonderful building. You have a busy schedule lined up but everyone who meets you will so enjoy the time together!! Stay warm and safe travels. I have to remember this shop for my next visit to Minneapolis! Thanks for sharing a bit about the shop. Hope your programs went smoothly. Gourmet breakfast and a sewing presentation make do a nice sounding combo.